According to report, Xiaomi (Chinese Smartphone maker) is going to release foldable Smartphone in coming months. Wang Zhang, the VP of Xiaomi has released a video of himself operating or using Mi Foldable handset that has been in works. Further reports, Xiaomi have launched a new video related to their upcoming foldable phone. Since, the company had disclosed the phone would not be launched anytime soon, after when dust generated by media frenzy died down. Now, we expect from teaser that Xiaomi foldable Smartphone may release soon. 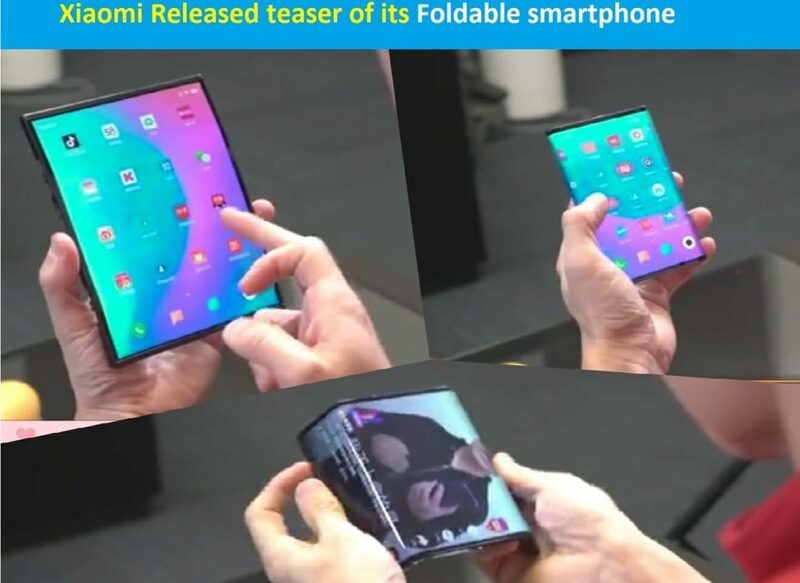 Let’s take have a look at features & specification of this foldable phone which has described in their new video. 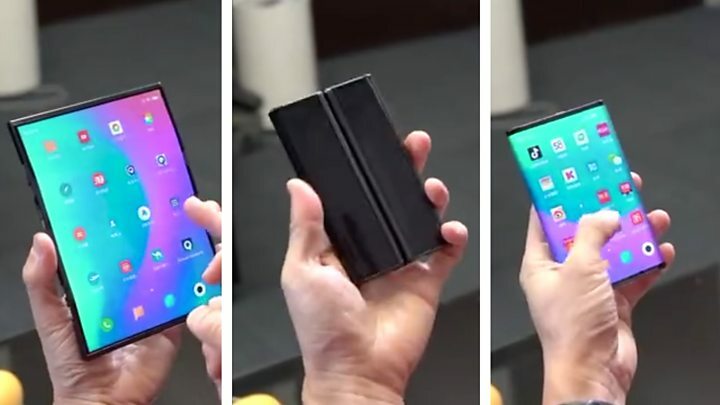 When we talk about foldable design of this phone, it has double folding design which is very unlike the ones from Huawei and Samsung. As per video shared on Xiaomi’s official website Weibo account which is now available on YouTube and other social media platform, the phone features of Android 9 Pie based MIUI 9 and have very big display. Moreover, Xiaomi foldable Smartphone will be powered by Qualcomm Snapdragon 855 chipset which is the latest processor 800-series of Qualcomm. The innovative flexible display seen on Xiaomi foldable Smartphone has been supplied by Visionox which is display manufacturer from China. Start from Samsung foldable phone, Galaxy Fold Smartphone has been released in February 2019 which has 7.30 inch touch screen primacy display with screen resolution of 1536 X 2152 pixels and its second display has 4.60 inch touch screen with 840 X 1960 pixels resolutions. Samsung Galaxy Fold is powered by Octa-core processor and has 12GB of RAM & 512GB storage. When we talk about the camera of Samsung’s foldable phone, it has triple camera in back including 16MP primary camera with f/2.2 aperture, 12MP camera with f/1.5 aperture and 12MP camera with f/2.4 aperture. It has also 10MP with f/2.2 aperture front facing camera for taking impressive selfies. On other hand, Xiaomi foldable Smartphone is double folding phone as per video shared by Xiaomi’s official Weibo handle. The phone will have USB port at the bottom. Interestingly, Xiaomi’s double folding phone is its convenient and compact design which allows easy use with the single hand. Lin Bin, co-founder and president of Xiaomi has suggested the name for its foldable phone that is Xiaomi Mi Dual Flex and Xiaomi Mi Mix Flex. Apart from that, he also urged Mi fans to recommend a suitable and attractive name for the foldable device.For more clarity, you can watch the Xiaomi’s video for its foldable phones. At the moment, Xiaomi foldable Smartphone is not officially released. It is expected to be unveiled anytime in second Quarter of this year around April to June. Anyway, we are researching on the matter very deeply and we will definitely post an update, if it will come in future. For any suggestion or queries, please write on comment box given below.